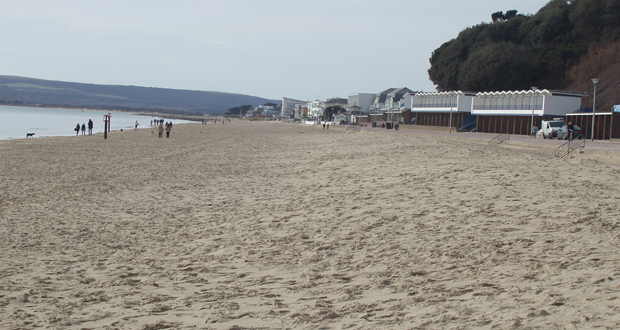 A quieter beach than the neighbouring Shore Road and Sandbanks but just as beautiful. A wide sandy beach leads into clean cool waters. The promenade runs along here although please note that cycling is not permitted in July and August between 10am and 6pm. 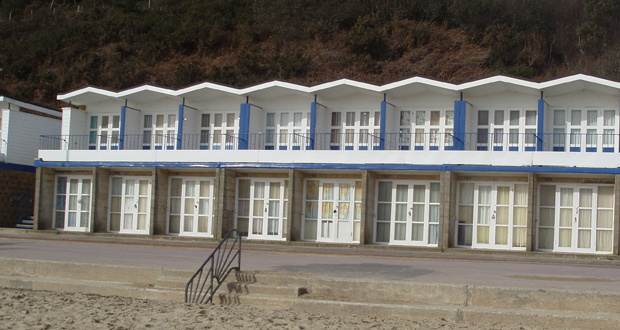 There are lovely little traditional beach huts along the promenade although the majority of these are private. There are fewer facilities available here although it is patrolled regularly by lifeguards and you will find toilets and a small ice-cream kiosk. Beach wheelchairs are available to hire free of charge though 24 hours notice must be provided to the beach office at Shore Road. 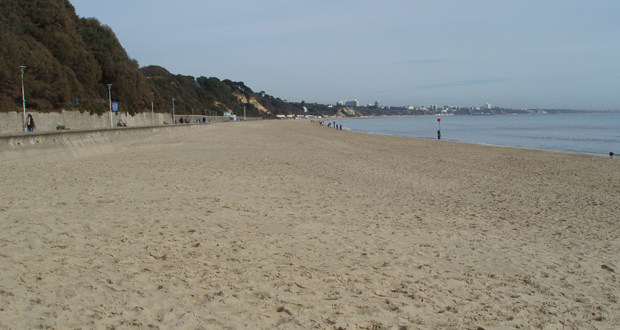 Flaghead Chine Beach is dog-friendly but only out of season therefore between May and September dogs are not permitted on the beach itself, however they are still welcome along the promenade. There is no car park here, just on-road parking which is limited.